New Mob Added: Djinn - Air Elementals that spawn high in the sky. New Default Mob Spawner Added: Sky High, spawns mobs high in the sky, used for Djinn. Dungeons now have finish rooms. Fixed a bug where Rare Subspecies were not having their stats increased. Fixed a bug where mob levels were not updating the mobs health. Fixed a bug where high mob defence meant that attacks would sometimes heal the mob! Fixed a bug where dungeons were tiling Spawners and Chests (meaning that they were unintentionally being placed in the air). Fixed a bug where incorrect dungeons bosses were being added on each level. Fixed a bug where dungeon sectors were connecting too far close to the room corners. Fixed a bug where dungeon stairs sectors were not having their collision checked on the lower level they connected to causing other sectors to overlap them. The stat subspecies multipliers are now fully configurable for Uncommon and Rare subspecies. Mobs will not longer target Rare Subspecies in addition to any Lycanites Mobs boss. All attacks will now do at least 1 damage to a mob regardless of their defence stat. Spriggans now have full swimming. Spriggans now deal more damage. Reduced the default spawn chance of the Lava and Ooze spawners. Fixed a bug were mob levels were not being sent to the client making them all appear to be level 2 to the client. Added missing language entries for the new Reptile Ruckus event. ============================================================ Lycanites Mobs Update: Empyreal Masters - Version 1.18.1.0 for Minecraft 1.12.2 Configs older than 1.17.3.2 will be reset. 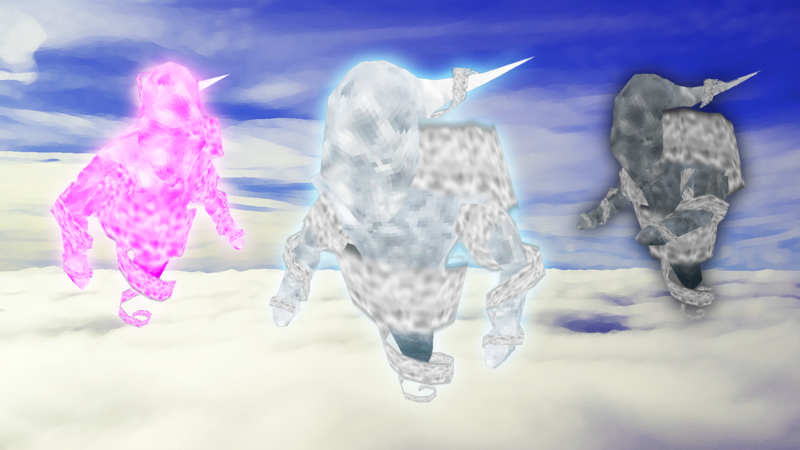 ============================================================ -------------------- New Features: -------------------- New Mob Added: Djinn - Air Elementals that spawn high in the sky. New Spriggan Model Created New Default Mob Spawner Added: Sky High, spawns mobs high in the sky, used for Djinn. New Fusions Added: Djinn + Cinder = Zephyr, Djinn + Jengu = Reiver New Dungeon Added: Shadow Labyrinth Dungeons now have finish rooms. -------------------- Major Fixes: -------------------- Fixed a bug where Rare Subspecies were not having their stats increased. Fixed a bug where mob levels were not updating the mobs health. Fixed a bug where high mob defence meant that attacks would sometimes heal the mob! Fixed a bug where dungeons were tiling Spawners and Chests (meaning that they were unintentionally being placed in the air). Fixed a bug where incorrect dungeons bosses were being added on each level. Fixed a bug where dungeon sectors were connecting too far close to the room corners. Fixed a bug where dungeon stairs sectors were not having their collision checked on the lower level they connected to causing other sectors to overlap them. -------------------- Config Changes: -------------------- Added a debug option to enabled a mob stats overlay. Can be toggled with /lm debug Overlay true/false The stat subspecies multipliers are now fully configurable for Uncommon and Rare subspecies. -------------------- Changes: -------------------- Mobs will not longer target Rare Subspecies in addition to any Lycanites Mobs boss. All attacks will now do at least 1 damage to a mob regardless of their defence stat. Spriggans now have full swimming. -------------------- Balancing: -------------------- Spriggans now deal more damage. Reduced the default spawn chance of the Lava and Ooze spawners. -------------------- Minor Fixes: -------------------- Fixed a bug were mob levels were not being sent to the client making them all appear to be level 2 to the client. Added missing language entries for the new Reptile Ruckus event.